Who's who in Disney's 'Duffy Plush Universe'? Like many other character universes, Duffy the Disney Bear started with a retcon. 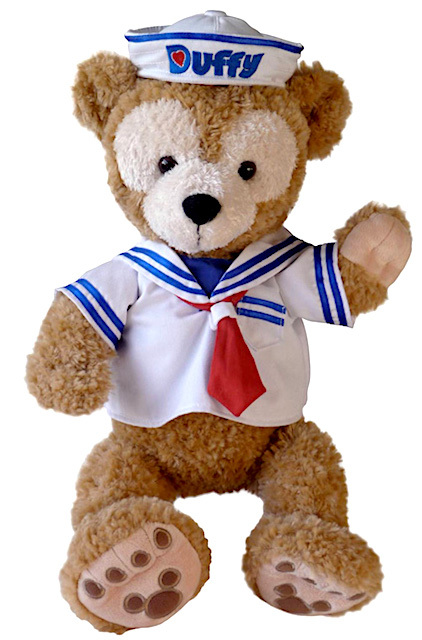 Duffy originally was an unnamed teddy bear ("My First Disney Bear") that I first saw in 2005, as the substitute toy given to boys dragged along to the Perfectly Princess Tea Party at Disney's Grand Floridian Resort and Spa who didn't want to take home a princess doll. From clicking around the Web, it appears that the bear was sold first in 2002, at Walt Disney World. Over the years, Disney has added five friends for Duffy the Disney Bear, bringing them to other Disney Parks with varying degrees of success. 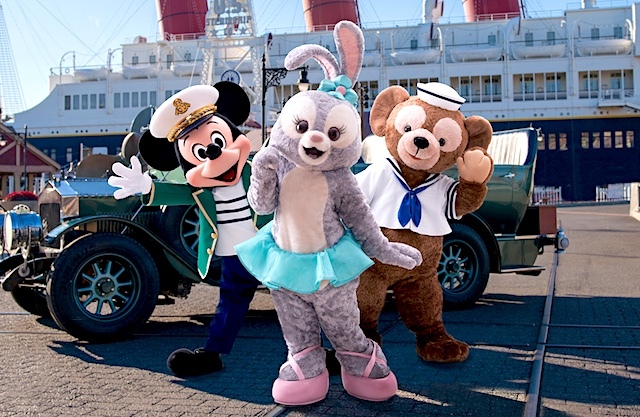 The first four characters in the DPU debuted at Tokyo DisneySea, while the fifth and sixth have debuted this month at Hong Kong Disneyland and Disney's Aulani in Hawaii, respectively. Disney has yet to debut a DPU character at a theme park in the United States, where the character family hasn't enjoyed the maniacal success it has in the Asian theme parks. ShellieMay (debuted 2011): Another teddy bear, also made by Minnie Mouse. She's Duffy's girlfriend. 'Olu (2018): The newest member of the DPU, 'Olu is a turtle from Aulani who plays love songs on his ukulele. Now, since synergy drives so much business at The Walt Disney Company, when is Disney going to take the next step with the DPU and start giving us Duffy movies and TV shows, in addition to its theme park meet-and-greets and shows? I believe you can still meet Duffy in EPCOT at the gazebo between the Odyssey and the Mexico pavilion. 'd go the "El cheapo" route and make short web animations like Palace Pets or DC superhero girls. It may have changed this year, but Duffy was definitely doing meet and greets at that gazebo last October. Pluto now meets at Duffy's old spot in Epcot. If Minnie made both Duffy and ShellieMay, does that mean they're related by stuffing? Ya gotta give it up for “DPU” ... Stand up and put your hands together people! Hey Robert: Your comment that Duffy is not in U.S. Parks is not quite accurate. Aulani is in Hawaii which is US. I guess "not in Mainland US" is correct. It's just so funny how low their popularity is here in the US and how MASSIVE they are in Asia. When we walked in Tokyo DisneySea I was looking forward to making fun of Duffy and friends - at the time it was just him, ShellyMay and Gelatoni. By the time we were ready to make souvenir purchases for our visit, I HAD some sort of Duffy souvenir. I also tried like heck to win a StellaLou in an online contest not too long ago. failed. 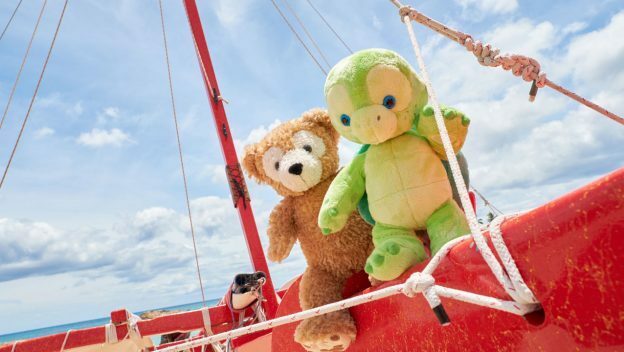 Princess Cruise Lines has a mascot bear they promote on every ship. This seems a lot like that. They even look alike. Bet they’re big on the ships. 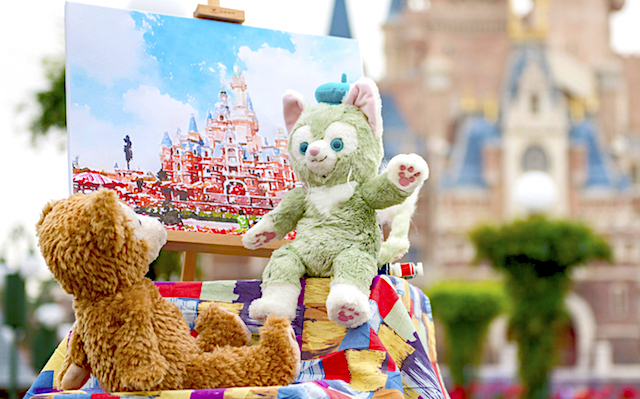 As we speak, I am sitting at Shanghai Disney waiting for the parade and next to a Duffy and Gelatoni meet and greet. Love the Duffy and Friends characters. There are multiple standalone stores for them at SDL. My favorite is Gelatoni and I found even more merchandise here than in Japan. Wish I could grab Cookie and 'Olu right now. I find it a shame the American parks don't like these characters. 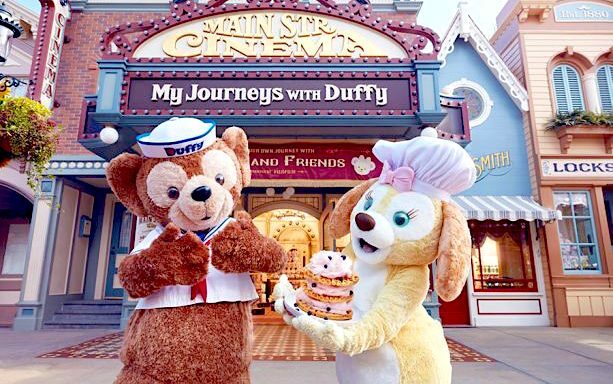 I need at least a Duffy meet & greet in Florida! I was told they stopped in like 2015, so unfair. I also LOVE Cookie! so cute! I feel like Duffy wasn't given enough of a chance in the U.S. While I guess its nice that Disney found another way to make money does anyone else find it disturbing that this discussion is a bunch of grown men giving opinions on a teddy bear? I mean...it's a teddy bear. Robert said......... the Duffy Plush Universe.......I'm done, lol. We need Robert naming more stuff!! What is actually important in planning a trip to Walt Disney World?